Sage Impact is a gateway where you streamline all the applications and tools that are required by the accountants and bookkeepers. This saves time, attend clients and improve their practice approachable on the go – anytime anywhere access through one online center. Sage Impact is the excellent flexible solution for the practicing accountants. The software helps in bringing control to your practice. It provides highly effective advice for the clients. The advice helps to expand the work and take business to next level. Upgrade your practice: The software allows to access solutions that helps you to run your practice online, including Sage Accounting software and Google account. Streamline all at a single place: Easily handle all the things in a single customizable location. The Sage software offers platform to merge with many online solutions you already use. Free trial version: You can examine all the functionality of Sage Impact with a free 60-day trial of Sage One Partner Edition. Advance your business: The software helps to locate clients based on the basis of your skills and their requirements. Raise your knowledge: You can acquire fresh skills, new knowledge and expand your horizons with online courses for higher education. Sage Match – Develop your market research and take your practice to next level by acquiring more customers without additional costs. Final Accounts Online – Connects with Sage One Accounting to provide a complete solution from bookkeeping to producing a compliant set of iXBRL accounts for HMRC. It also gives you complete control over compliance adoption and data. Sage One Partner Edition – It is clear online accounting for you and your clients that helps to handle multiple clients’ accounts in real time using just a single login. Education – Guidance and support is provided for the education tools, and mentoring that can help you to improve your practice and help your clients. Sage One Partner Programme – Supporting you and your clients with knowledge and guidance about Sage products and how to get the best from them for your businesses. Sage One Accounting – Easily transfers your shoebox and spreadsheet clients into the cloud with Sage One and turn hours of data entry into minutes of data review. My Quick Links – You can customize your cloud with links to the most used applications apart from Sage. It helps to create an friendly work environment for your practice. Sage Business Community – Accords answers to accounting-related queries and FAQ’s from the small business community forums. Sage View – Change the picture of your business and enhance relationships with your clients by turning real-time data into actionable client advice. Corporation Tax – It supports the create and online filing of the Corporation Tax Return package for small client companies, delivering over 15 sections of compliance and supplement pages such as CT600 A&J. 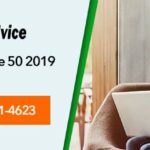 Connect with the Sage customer support executive by the toll free phone number and directly speak to the Sage expert about your problem. Keep all the latest software updates regularly so that it will help you to keep your investment safe and secure. Visit the Knowledgebase page. It is the online self-help site that helps in troubleshooting all the doubts and queries with the latest information. 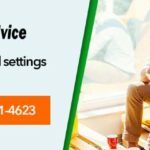 Chat online with a Sage representative and fetch solutions for your problems instantly. 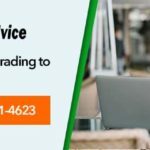 Usually the Sage customer support phone number is engaged and if you are seeking for other ways to fetch support there are many reliable third party agencies like accountingadvice.co. The company accords quick solutions for the issues that are reported by the clients. The company follows the best approach to handle issues and provide best quality support considering time of the client. On reporting the issue to the customer care experts they take over the responsibility to resolve the error completely. The experienced Sage professionals at are hired by the company have in depth knowledge about the accounting software. They easily identify the issues and provide the right solutions. The team guarantees also you first call error resolution in the minimum wait time depending upon the error category. The extensive years working with Sage and its products including its install updates, conversions, customizations, support and training helps to provide excellent services to the clients. 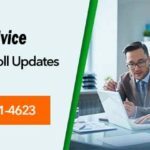 Quickly dial the Sage technical support phone number and connect with accountingadvice.co today! We offer 24×7 support and the toll free number 1800-961-4623 is always active to provide best support experience.